It’s important to us to have control of our site – in a clinical environment it is critical to be able to make changes rapidly if publishers change links. We can’t risk interrupted access for people who rely on the information. 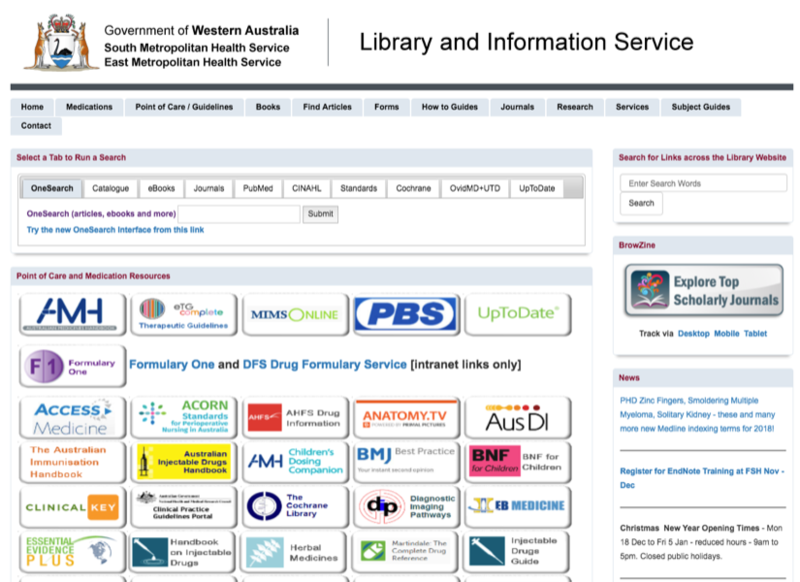 LibGuides CMS provides the flexibility to design a layout that meets clinical, research and educational needs of Library clients. Feedback told us people wanted one click access to the most frequently used resources and so we placed these right on the front page. The tabbed search box to a variety of sources also enables quick access to resources clients value. LibWizard is great for preparing forms and surveys. The capacity to add all sorts of content in LibGuides as assets is also great (links, documents, rss feeds, widgets etc) and makes updating links so easy. Creating widgets has been useful and has definitely added to the skill set of staff. The statistics module is very helpful in guiding analysis of the guides and assets that are getting good use and those that we need to either improve or consider retiring. We moved from developing and maintaining an internet server modified with a web industry standard html editor to LibGuides. It has democratized website development so much – no longer the preserve of one or two staff (along with the dangers of being so reliant on a couple of individuals), we now have a site that different staff are able to update after a minimal amount of training and some self-education with the Springshare videos, help pages and the Lounge, and the essential emails to Springshare Support! 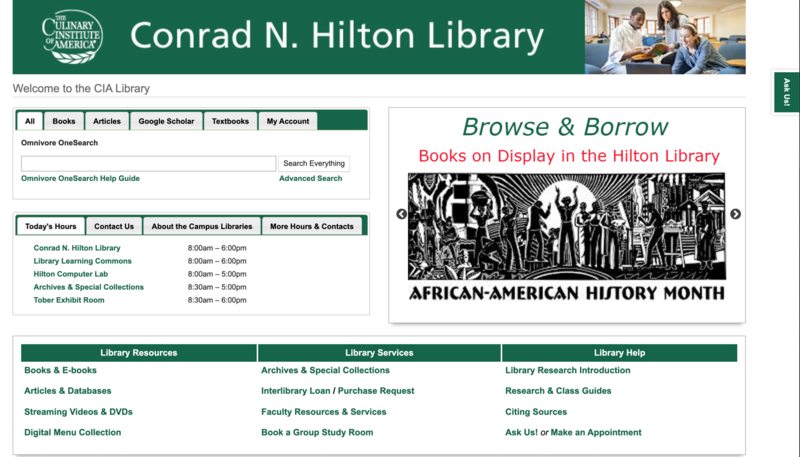 LibGuides are amazingly user-friendly for both the patrons using the website and the library staff creating pages. The fact that it is a CMS designed specifically for libraries means it has convenient tools that match the type of content we need to provide to our users. I often say in my Information Literacy classes that just like the bricks-and-mortar building is the library, the website IS the library. It needs to be a fully functioning interactive portal to our resources and a source for information and instruction; LibGuides enables us to do that in one independent CMS platform. The LibGuides CMS Groups to organize and customize department pages such as Archives and Reference & Research Guides. The AtoZ Database List to manage our database links. The tabbed box to put our Discovery, Catalog, and other search tools front and center. Gallery boxes for announcements and new books, along with the image manager. One of my favorite features is the ability to "Add Books from the Catalog" and create online bibliographies in just a few clicks. It is very useful to be able to create different levels of account holders, so I can give library student workers access to edit assets for a project and I can also invite faculty to participate in creating and contributing to a guide for their course or department. The staff at Springshare have always been terrific responding to questions; they gave us a a great deal of extra support while we built our new library homepage (and learned CSS at the same time.) I am also expecially grateful to have access to the LibGuides community for advice and inspiration. I have learned so much about what other libraries are doing just by browsing LibGuides. I work at a small, fast-paced research library. 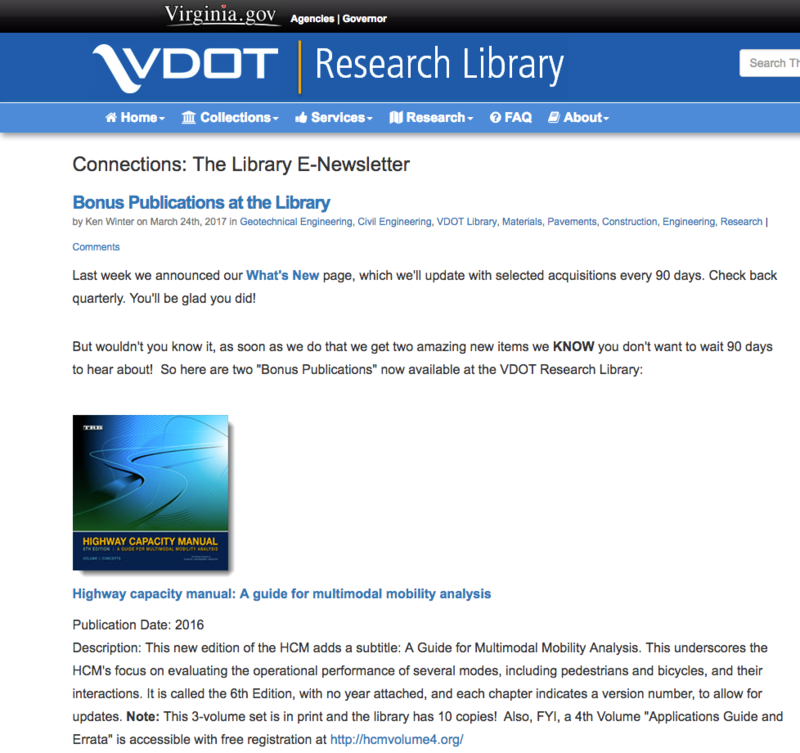 We are affiliated with the Virginia Department of Transportation, but located on the University of Virginia grounds. More than 90% of our transactions are “virtual” interactions with customers in far-flung corners of the state (people who mostly did not know they had a library, and who we will never meet), so a robust and accessible Web presence is critical for a library like ours. A Web presence that is publicly accessible. A site that was mobile friendly, feature rich and met basic criteria for accessibility. 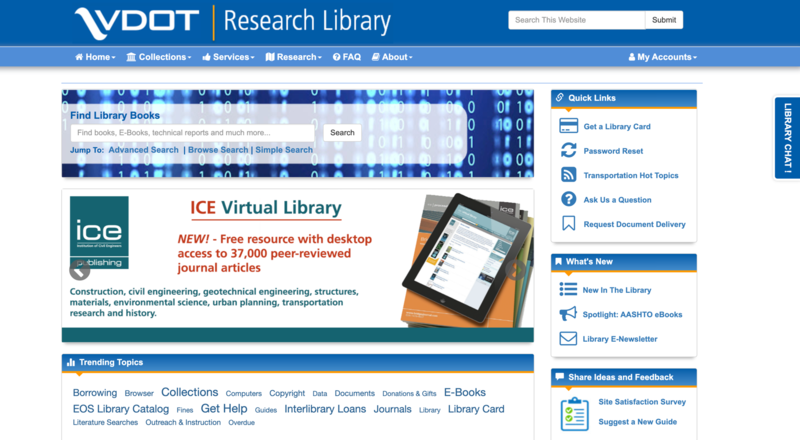 A site Integrated other library platforms like our: catalog, databases, ezproxy and federated search. 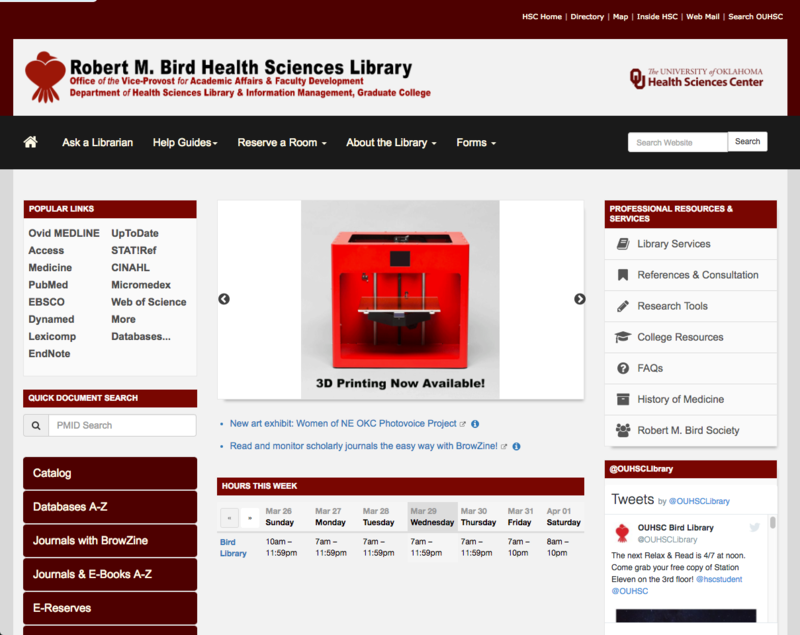 A site we did not have to build from scratch, and which library staff could maintain. When we explored LibGuides in 2015 we were surprised at how robust and full featured the product was! Then we discovered many Springshare customers were configuring LibGuides CMS to act as a whole website, and we knew that was a strategy we wanted to attempt as well. So we jumped at the chance and added LibAnswers, LibChat, and LibWizard to our subscription as well. What features of LibGuides CMS assist you in powering your Library Website? Bootstrap integration, mobile-first approach, A-Z list for databases and ease of management through a combination of point and click features and ability to style or code customizations if we desire have helped us get off to a solid start. We rely on integrations with LibAnswers, including widgets to display FAQs on key library pages, and integrations of the LibChat widget on all our library databases, catalog and federated search tool. We have also created a custom search box for our catalog on library home page and use features such as RSS feeds from databases, and proxy for remote. We were onboard from day one with the System Blog and post to it every week in addition to using selected social media tools. Finally, we rely on forms and surveys from LibWizard, which feed directly into our LibAnswers Dashboard for centralized customer service. Oh yes, and we have LibGuides too! We have created a staff-only site called “The Lounge” which is a huge hit, and have just as many LibGuides for back end library functions and processes as we have for patrons on the front. Plus it’s a place we can be silly, share resources with each other and collaborate. We also utilize Staff Only FAQs, which are invaluable way for all library staff in our quirky environment to stay on the same page in our efforts to provide outstanding customer service. We use LibChat for staff-to-staff communication all day long and LibAnswers gives us an amazing collaboration and customer service tool. Finally, we rely on data from tickets and reference analytics (as well as other system, transactional and patron data) to show our supervisors (who are researchers, not librarians) quantitative and qualitative library metrics and apply our analysis to those metrics to give them context for our value. A very small and extra “special” library like ours faces unique challenges, high expectations and a tremendous workload. The phenomenal customer support we get from Springshare (we ask a lot of questions…and get a lot of solutions!) keeps our site and our guides working the way we need them to, and allows us to focus on customer service and relationship management. I’ve been working with library vendors for 20 years and it is rare to get the level of customer support we see from Springshare, but also to have such a strong feedback loop. We don’t feel like a customer. We feel like we’re in a dialog and a have a “partnership” with librarians who are smarter than us, and we always have an option to ask for help if we get stuck or have a concern. Springshare’s agile approach to software development and enhancements means we keep seeing more and more value for our investment. Sharing is a core value that Springshare seems to have in common with its customers, so it is baked in to what we do and how we do it. Through resources like the community sites for LibGuides and LibAnswers, access to guides created by other libraries, the Springshare blog, and social media platforms it is easy for us to find and benefit from excellent implementations, to discuss strategies, share code, best practices and “borrow” resources and assets…and hopefully one day give back to that community. Finally, support documentation is excellent and live and recorded Webinars are a huge help and again, I’ve gotten so much help from folks like Tim, Brody, Carrie and Valentina (among others!). With Springshare software and support we keep our customers happy and that keeps us relevant, so yeah, it really does make the staff of a little library like ours feel like rock stars in our community! We chose to go with LibGuides CMS to incorporate the website, LibGuides, forms/surveys (LibWizard) and E-Reserves into one platform, for a more streamlined look and ease of maintenance. Now that we have a template for web pages, CMS provides flexibility, allowing more than one or two savvy programming people the ability to make changes to content, as well editing as some of the look and feel. Some of the features that assist us in powering our library website are LibGuides which we have used to create and customize our homepage and various other guides by using groups and templates and tweaking our CSS with the help of the Bootstrap framework. Other noteworthy LibGuide tools that make our customizations or content creation easier include gallery boxes, the A-Z List, E-Reserves and the built-in Blog Management console. Tracking our website statistics in Libguides is also vital for knowing our most popular accessed databases and what our patrons are searching for on our website. We also use other Springshare tools that link to our website such as LibCal to post events, LibWizard to create surveys and internal and external forms and LibAnswers for FAQs and to track our Reference Analytics. Springshare’s documentation and customer support has been incredibly useful in helping us to continuously improve our website and our patrons’ user experience.